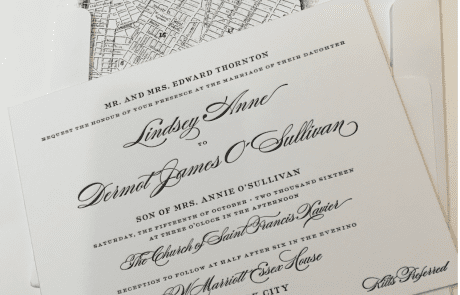 Say “I do” with an invitation that’s fit just for you! Make the entire event memorable, from the moment of engagement to the day you say I do. 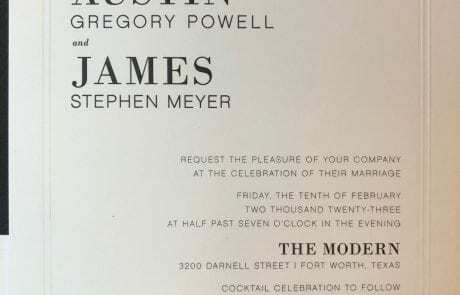 Whether your taste is traditional or contemporary we have the perfect invitation for you. 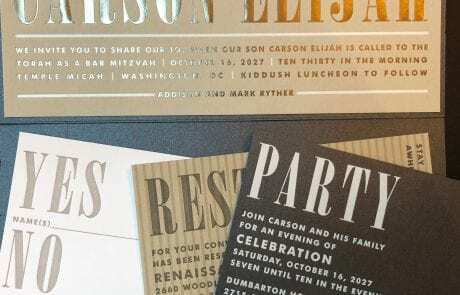 But we don’t stop at invitations – some of our most popular items include programs, seating charts, menus, personalized napkins, ribbons, coasters, sign-in boards, table numbers, seating cards, matchboxes, matchbooks, gift bags, and more! Your invitation makes the first impression of your celebration! 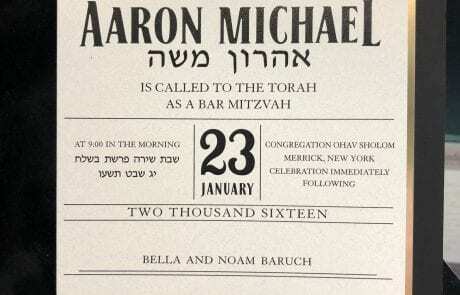 Planning a Wedding, Bar/Bat Mitzvah or Special Event? 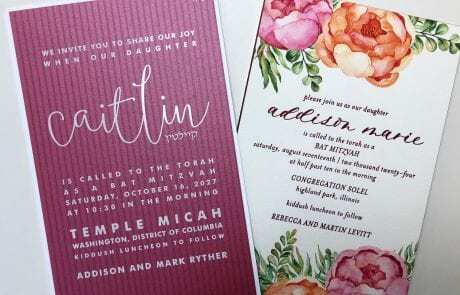 LMInvitations features a large selection of leading invitation brands offering contemporary, classic and unique design styles. You can choose from single and layered cards, folders or pockets styles. 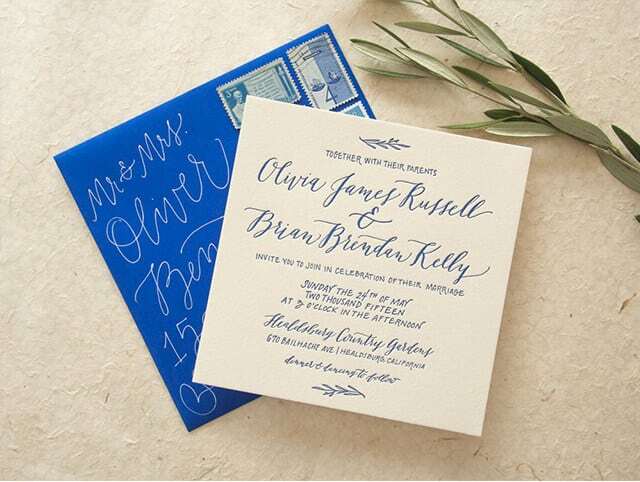 Owner Lori Mausner works with all budgets from moderate to high-end and custom invitations. Lori’s attention to detail will help you avoid costly mistakes that other people make doing it by themselves online. She will help you create a finished product that reflects your own individuality. “We were sent to Lori on a recommendation. She understood our vision and offered helpful suggestions and advice on design and wording. We received countless compliments! 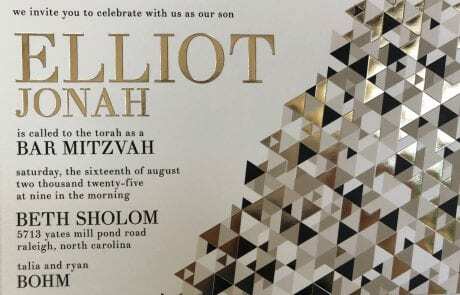 Thank you, Lori for delivering the most beautiful invitations we have ever seen – you are amazing!” – Genna C.
As important as a menu is for a meal, your Mitzvah invitation plays an intricate part in your child’s big day. It is a preview of what is to come. We have many top invitation companies to select from that aren’t available online as well the option to customize anything you desire. We will help bring your vision to life. 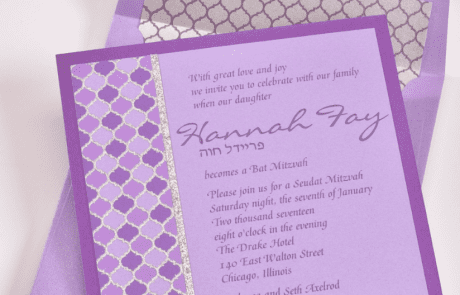 In addition to invitations, we carry customizable accessories and enclosures such as thank you cards, menus, programs, bus cards, kippot, seating cards, and table numbers to tie in everything to your theme. Digital and hand calligraphy is gorgeous and stylish. Your envelopes are the first glimpse into your personal style and give you an opportunity to enhance your invitations and overall theme. 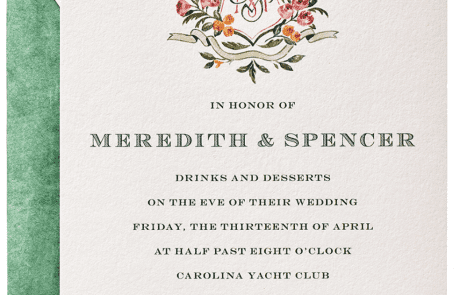 Lori can match your font and ink to your invitation to create a beautiful and seamless look. Please write your message and include two days and times you'd like to make an appointment with Lori.